The Kids In Need Foundation (@KidsInNeed), a not for profit that provides free school supplies to kids who need them nationwide, and we are celebrating the 20th birthday of The Kids In Need Foundation with something sweet! 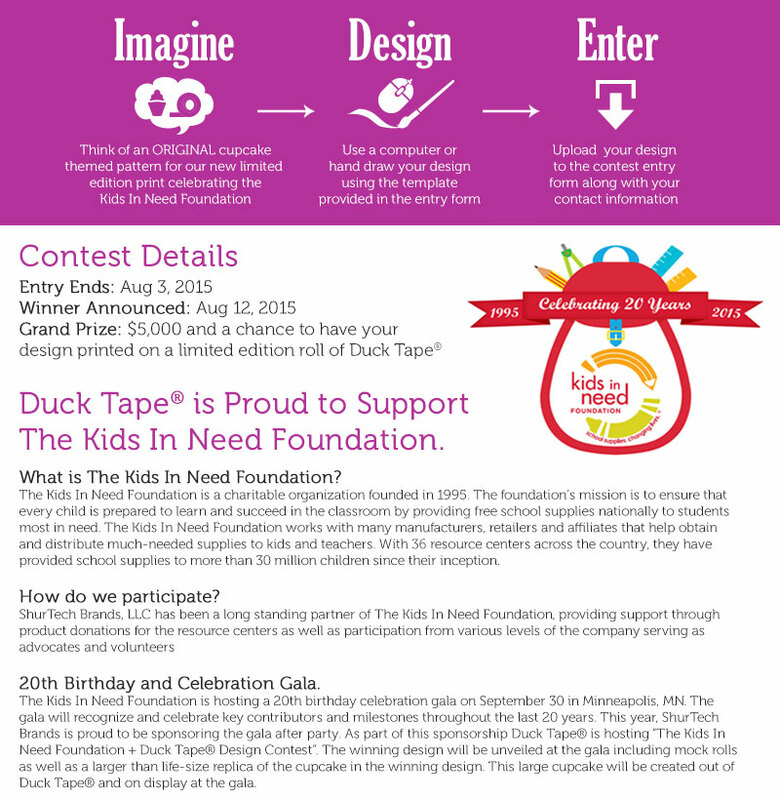 The Kids in Need Foundation is working with Duck Tape–and one lucky crafter will win $5,000! 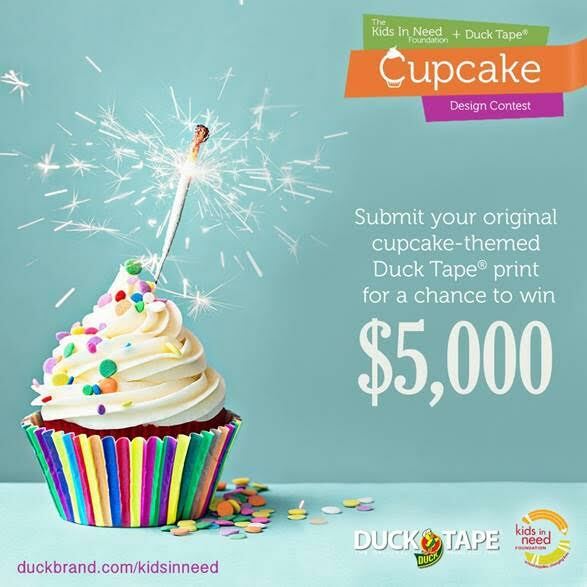 Submit your original cupcake-themed design for an upcoming limited edition Duck Tape print, and win $5,000. Check out all the details here.